In the old science fiction shows and movies, we used to see scenes where a special agent or important scientist character open the door to a sealed area by having their face and palm scanned. Now we have the technology and these novel locking systems are called Biometric Access Control. Biometric means "life measure" literally, but in this case it means advanced security locks that use palm prints and facial scanning to open the lock. It is used primarily for business security and government security. If you have ever wanted to guarantee security to particular areas of a building and prevent unauthorized access, biometric security is the solution. Only the personnel that have been authorized and recorded in the database will have access to that area because anyone else would have a different palm print and face. No keys can get lost or stolen and no keypads can be hacked. 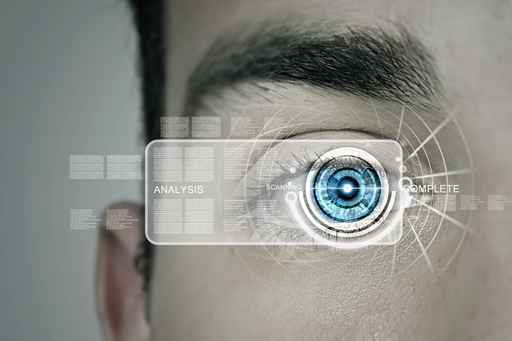 To have access, you need the body features that the biometric system measures. This is truly advanced business security. 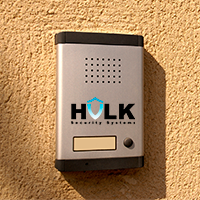 Hulk Security Systems NYC supplies these systems and provides installation, repair and maintenance so that your biometric security system functions perfectly all of the time. We have 24 hour services that can attend to any issues that may arise. We are more than happy to answer any questions that you may have. We are ready to provide expert advice to help you have a strong security system in your business. We also do security services for homes. Contact us for a free assessment.